First draw for the video game Gran Turismo 6, the magnificent concept Mercedes-Benz Vision Gran Turismo will the virtual mode to real mode. A superbolide which ultimately will be produced in only five copies. 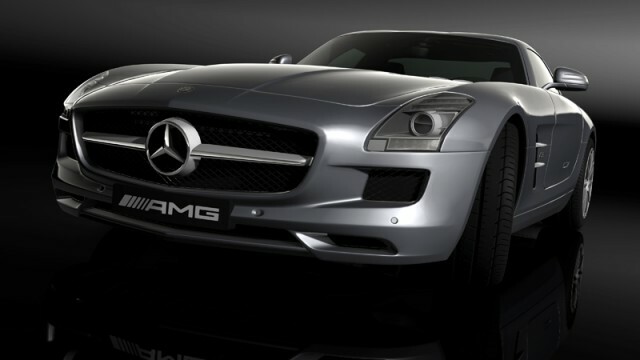 Conceived on the basis of the SLS AMG GT, the car will be manufactured by an independent company. Thanks to its aluminum body, its weight is reduced by 91 kilos compared to that of the SLS AMG GT. This same body is covered with a chrome paint, similarly to the virtual car. The used engine is a V8 biturbo 585 hp, mated to a DCT speedshift seven reports. Five models of products, two are reserved for Europe, two in the Middle East and a unique model for the United States. The asking price for this rare car has been fixed at $ 1.5 million.